After weeks of very routine weekends, rif and I decided to drive all the way to Ipoh for lunch, and come back to KL after a good cup of Ipoh white coffee. I called Rita, one of the partners of Fu Lim to check if the restaurant was open for lunch, as our friends who tagged along wanted to try the food there. Famously known in Cantonese as “Ham Yue Fah Lam Poh” (RM12), its literal translation is Salted Fish Pork Belly Claypot. 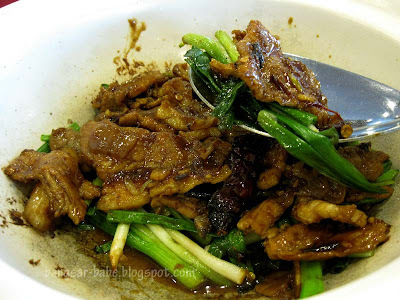 The combination of salted fish with the succulent pork belly in claypot yielded a dish that was rich, redolent with wok hei and flavourful. This is best eaten with steamed rice. 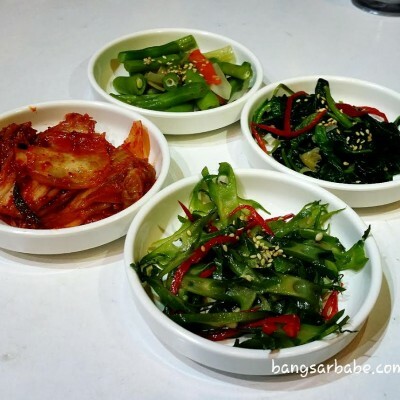 I found the proportion of salted fish to pork belly just right – instead of overpowering the fatty pork belly, the pungent saltiness of the fish complemented it beautifully. Other dishes were also quite good, like the claypot fish fillet with rice wine (RM20). 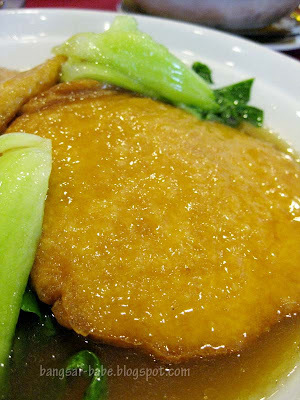 The meaty chunks of dory were well-coated in the dark brown gravy, which was faintly sweet from the wine, and fragrant from the ginger slices and stalks of spring onions. While it was pretty good, I thought it tasted was too similar to the pork belly dish – I initially wanted to have salted egg pork ribs, but unfortunately, it was not available that day. 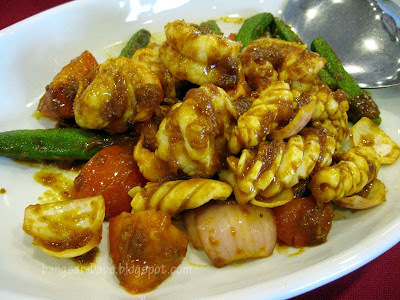 The Nyonya-style seafood (RM20), which comprised big prawns, squid slices, quartered onions, tomatoes and okra in a spicy tomato-based gravy, was a delight to eat. I was rather impressed with the chef’s skills — he/she managed to retain the natural sweetness and freshness of the seafood, especially the prawns. 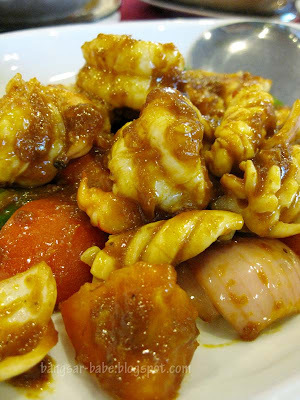 Most curry/asam dishes tend to mask the taste of the seafood, but Fu Lim did the complete opposite – the prawns were plump and sweet, while the squid was tender with a slight chewiness. The food at Fu Lim is not flashy, but it sneaks up and surprises you when you least expect it. 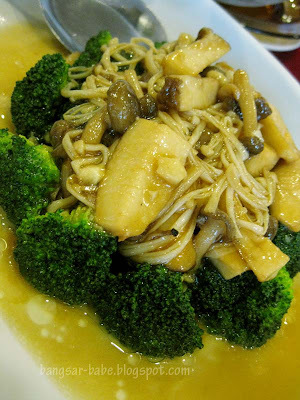 The broccoli with assorted mushrooms (RM12) looked to me, like a simple vegetable dish that would pair well with rice. I didn’t think much of it, until I took a bite, and was forced to eat my words. The light and flavourful gravy was not overly starchy, and paired well with the assorted mushrooms. Instead of broccoli, the tofu (RM12) came with some lovely green bok choy. I reckon Rita replaced the broccoli as she didn’t want too many repeats of ingredients – the mushroom dish came with plenty of broccoli. But there was nothing to complain about. 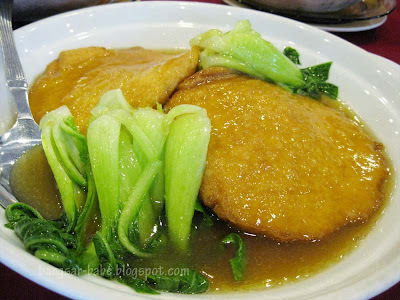 The bok choy was crisp and delicate; I believe it was briefly blanched as the flavours remained clear and pure. The spicy and savoury pork mince beneath the tofu gave it a piquant flavour and an interesting texture. The salted egg-yolk prawns (RM27) dish was another triumph. 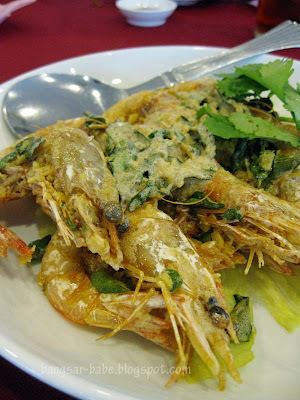 The large prawns were fried to a glorious crunch and disguised under a layer of rich and creamy yolk gravy. If you can’t stand overly cloying food, fret not. This version was actually just right – the egg yolk gravy merely played second league to the luscious prawns. The prawns tasted as though they were swimming in the tank 10 minutes ago – sweet, succulent and firm. 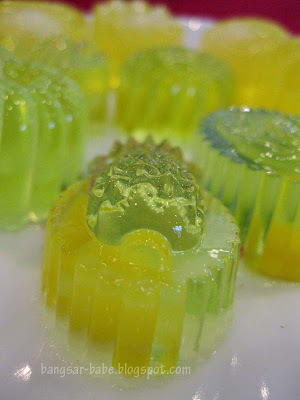 Dessert was konnyaku jelly, on the house. 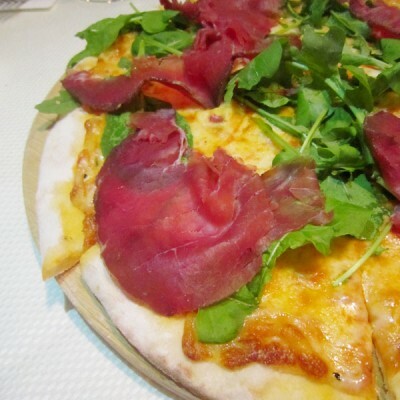 Once again, the food impressed, and we all enjoyed the meal very much. Rita was worried we ordered too much, but we proved her wrong by leaving nothing uneaten. That also included the spring onion garnishing. The bill came up to a reasonable RM113.70 for 5 of us, including tea, towels and nuts. I reckon the food had very little or no MSG, as I did not feel thirsty after lunch. *extra points* Thanks again Rita, for your kind hospitality and great food recommendations! Verdict: The food is good and value for money. I’m definitely coming back for more! hats off for the two hour drive just to eat!! you eat well, extremely well, makes me hungry! 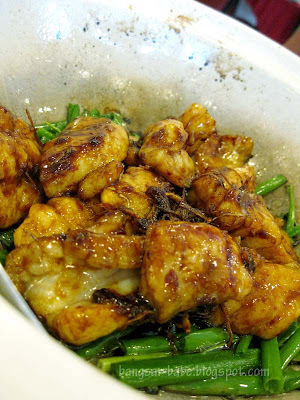 the "floret" squid in the Nyonya style seafood is visually pleasing and are those in house made tofu? cheap and good! cheap and good! BBO – Try and let me know what you think! foodbin – Yes, I believe the tofu is made in-house. leo – Wait till your girl grow bigger, then we go together! Joe – Wanna join next time?